Viva Las Vegas! We just returned from the 3 day 2009 ILTC Show, held at the Venetian, in Las Vegas, NV. We looked at all the new vehicles from our favorite limousine converter, Krystal, along with a myriad of other exciting industry offerings. Keep an eye out for our upcoming partnership with Celebrity Jet Charter, as Rare Form Limousine unveils private airplane charter services in the near future. Forget all the gloom & doom. 2009 is the time to shine! If you haven't visited the Venetian, you're missing out. 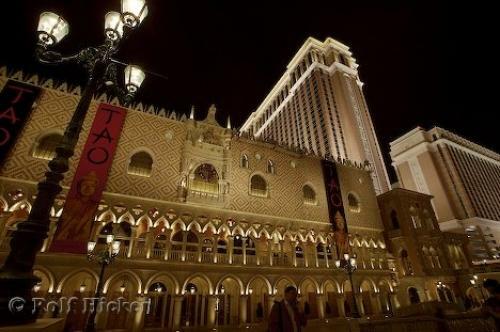 Tao nightclub is just one of many fabulous attractions. This entry was posted on Thursday, January 29th, 2009 at 8:00 am	and is filed under Attractions, Industry, Restaurants. You can follow any responses to this entry through the RSS 2.0 feed. You can leave a response, or trackback from your own site. WordPress generated this page with 35 queries, in 0.465 seconds.